Career Development can be said as systematic and defined that can be followed and implemented for the development of career success. Also the career development is directly proportional to career planning, in simpler words we can say that the career development is mostly dependent upon the systematic career planning. But a common question arise in our minds that how can career development be started? And, is career development worth of doing? Let us find out the answer below. One of the most critical parts for successful career development planning is to pen down/write down all your goals and things you want to achieve, in a bold and clear manner so that it can be read on equal intervals till you achieve all the written goals on it. Every small and big goals and targets should be written in a detailed and systematic manner so that when you are in the path to achieve them you will be very clear of the result that you are going to get. Also, when we try to memorize the goals verbally, it generally results that we forget it after a specific interval of time. But when we write the goals in a systematic and detailed manner and go through them on equal interval of time, it stays in our memories for a very longer period of time. And logically speaking, the human brain loads more data when we write any of the important things as compared to just speak and memorize. When you tend to write a 5 year career development plan or career goal, you need to focus on the very small little things to the major goals, which you want to achieve and start to pen down the goals in a systematic manner that can be followed through the future time period. When you will write down all the details of your future plans your brain will use its optimum power to find out the answers for all Why? What? How? When? Which goals? This will help you to make the planning in a step manner starting from the smaller goals then moving towards the bigger plans. However, just penning down all the goals on a piece of paper is not the way that it will lead to your goals, but a strong determination and discipline is needed to follow your goals and achieve them. It is very common that a majority of people face hard difficulties in achieving their goals, and eventually they drop down the plan of achieving them, but the one who faces all the hard times and difficulties and goes through them with all determination, success is all what he/she achieves at last. One should always follow a perfect format that suits the best for their desired goals. Let us see a common format that can be suited for a majority of people. Goals for 6 month to 1 year. Goals for the next 10 years. Scientific researches prove that; human nature avoids situations that brings on the tough times. But also it has been proven that; the one who tend to do all the uncomfortable things and passes by all the hard times are the most successful people we have in the world. But the career development process needs to be done by a very concentrated mind or under a guidance of a career consultant, who will help you and guide you to make your goals and also suggest you the ways how to achieve them. The proper career plan is the master key for a successful career. 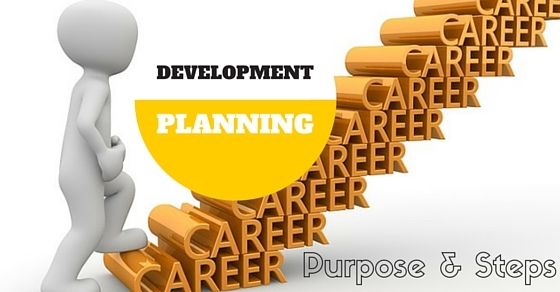 So let us see what a career development plan is. The career development, for many is optional in life. But it is recommended that one should always know that what he/she actually wants and how will they achieve it, if they don’t then they will land up nowhere in their life span. One should start making their career development program by starting from the small and short time goals that can be achieved soon; these can be daily goals or weekly goals. After you have once achieved these goals then you can decide the long time goals which needs a decided and dedicated path to be followed. A career development plan is the set of written short term and long term goals which a person tends to achieve in the upcoming future time period. These goals are purely related to the individual strengths and weakness, moreover these goals are made in a systematic format that can be followed or achieved in a specific set time period. Sometimes the simplest of the works and things, appears to be as the most difficult task of life just because they require extensive thinking with a focused mind set. But you should keep in mind that this thinking and working are the fruitful future investments which will definitely benefit you in the future. So it is worthwhile to invest time and your mind in making and following a Career Development Plan. You don’t want to go on a road trip which doesn’t have a specific ending or destination, so same does the life expects from you, you should always be very clear about the different destinations or goals which you will be achieving in different instances of life. And don’t make the goals just for the sake of having one, make a realistic one which attracts you and motivates you in all the tough conditions when you are in the way of achieving it. One should always be clear of the image that where he is today and after a certain period of time where he wants to see himself. By doing a GAP analysis on achievement of every single goal, it will definitely boost your morale up and help you to fight against all the difficult times, which will result in a successful and bright career of yours. This also helps you to realize that what tremendous and beneficial changes you have possessed in yourself which really makes you feel proud and delighted about yourself. When the thing are crystal clear in your mind, its time you decide and make a effective career development plan by writing down all the desired goals that you wish to accomplish in the future, all the ways of accomplishing the goals and also the need to track you performance and efforts in achieving every single goal. This will lead you to a very bride and successful career. The main and the most important function of a Career Development Plan, is to help the person to know and achieve the desired goal in life. By doing so, one also comes to know about the actual strengths and weakness which can be very helpful in achieving the next decided goals of the life. But one should always keep in mind that these career development plans are just the plans, they are not a compulsion in life time, one should keep himself free to make any number of changes with the changing time period. Goals can differ with the changing time period and so does the situation changes, so you should not get depressed or unwillingly try to achieve the goals which are not useful at that point of time and situation. It is simple that when you know what you want to achieve and you start following the path to accomplish the goal, then you already have a successful career. If you have mentioned all the goals in a detailed format then you just need to follow and start working in the right direction so that you become successful in achieving the desired goal in life. Moreover you can also add up the different ways and tricks that you will follow to achieve the goals, as it becomes as a safe reminder for you and will always help you in getting what you actually want. Career Action Plan is a planned, systematic and managed document that is maintained by a individual which contains all the list of achieved goals and the future goals that he/she desires to achieve in life. It is mainly made and maintained by the youngsters so that they get to know about their strengths and weaknesses, which would help them in their education, development, training and employment time period. A career action plan is always helpful to those who want to achieve their set goals and moreover it helps you to recognize your weakness, so that you can overcome them and be more successful in life. One should always take some expert guidance in making a Career Action Plan, it is not necessary to always go to a career consultant or career planner and spend money. An expert means a person who is well versed of all the ups and downs, right and wrong and tough and happy situations of life, an experienced person is one of the best guide or consultant who has the practical knowledge of life and one of the most experienced person who also cares the most for you are our parents. The most effective and convenient Career Action plan can be made by the guidance of our parents. There are a few important components that should be kept in mind before making a Career Action Plan. Let us take a look at those important components of a Career Action Plan. These are the six main components of a Career Action Plan that should be always kept in mind while making it and as well as when you are following the path in achieving your desired goals for life. These six components helps to make a complete picture of how the things are going to work and what will be the end result when you successfully complete your journey. It has been said that “Security No Longer comes with being employed…It Must Come From Being Employable”. So the Career Action Plans not only helps you to achieve the desired goals and keep a check on yourself, but it gradually enhances the capabilities and strengths that makes you a overall strong person keeping all factors in mind. Different types of conditions, situations and circumstances. Different and changing goals as the time changes. Different types of experiences in the industry. Different types of people who will affect your life style. Regular Assessment of your growth. Finding new options and new possibilities. Developing an effective and detailed plan. Determinedly implementing your Career Action Plan in your daily life style. Ongoing reviewing your accomplishment and find out your weakness, so that you do not repeat them in near future. Career development and planning is a thing one can easily forget over the night’s sleep and after a certain time period you will realize that you are in the middle of nowhere with no interesting and memorable moments in life. You yourself are the one, who is truly responsible for where you land up in the future, with a little time managed and proper career planning you can accomplish many difficult things in life.